Ants are very common household insects, which are found everywhere around the world. They are social insects that live together in the colonies. They are very good in building the colony structures for their living. Generally, three kinds of ants live in a colony, which are queen, male, and worker ants. Each kind of ant has a specific task to do. The job the queen is to lay eggs when a male ant mate with her. 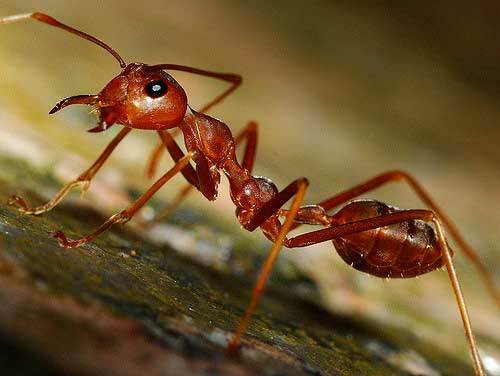 Workers ants have the responsibility of collecting food, building colony structures. There are more than 10,000 species of ants are found all over the world, and that number is increasing. Their head is equipped with two elbow-shaped They use them to smell and touch, which help them in finding their food and communication. They have six legs, which are directly connected to the middle part of their body. 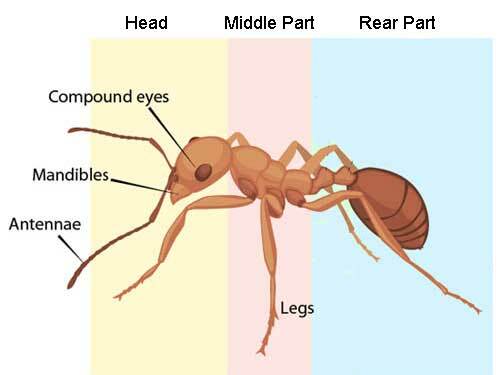 Queen and male ants also have a pair of wings, which is a distinctive feature of their bodies. Ants don’t have lungs for breathing air; they have tiny holes on their body to absorb the oxygen from the air. Many species of the ants are predators and scavengers, but some species have also evolved to eat plants in an indirect manner. Ants are one of the many insects which are found everywhere on our planet. They mostly prefer ground for building their nests. But, they also build their nests in the trees and buildings. They are very careful in selecting the site for building their nest. Once the site is chosen, they start to build the nest with soil and plant matters. 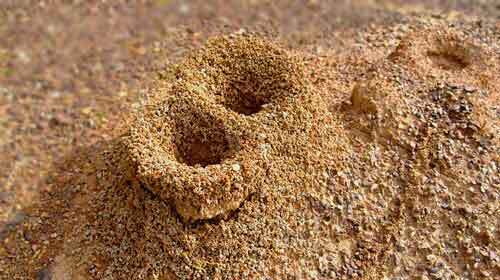 Many species of ants can build very complex nests, where millions of members can easily live. Ants are not endangered species; their conservation status is stable. Although, humans may sometimes find ants as a disturbing insect in their daily lives. As a result, special chemicals are used to kill them or destroying their nests. Ant can carry a weight, weighing 20 times of their own body. Queen can live for few years, laying eggs for their entire life. Ants don’t have ears to hear. Instead, they have a pair of antennae to smell and hear. Honeypot ants have some workers, which are stuffed with food. They use this food for future use, or when their food supply insufficient for the colony. Abdul Wahab, "Ant," in Science4Fun, April 13, 2019, http://science4fun.info/ant/.